The New York Times wrote an article called “Harvard and M.I.T. are Sued Over Lack of Closed Captions” reporting that federal lawsuits have been filed against Harvard and M.I.T. for inaccessible online content. The lawsuits, filed by the National Association of the Deaf, are seeking class action suit status on behalf of 48 million Americans who are deaf or hard of hearing. According to the New York Times article, before resorting to a lawsuit the Association asked Harvard and M.I.T. to provide online captioning. Neither of the Universities complied. First off, both of these universities work hard to compete with other top schools for the best and brightest people. They are ignoring the opportunity to attract the best and the brightest in a segment of the population that is estimated in the United States alone to be 48 million people. Chances are, other people will be offended by the failure to make online courses accessible. Therefore, the number of people who will seek out other Universities who are compliant or put forth an effort to make their content accessible is likely considerably higher than 48 million people. Regardless of the business you are in, ignoring a market segment of that size is not good for business. 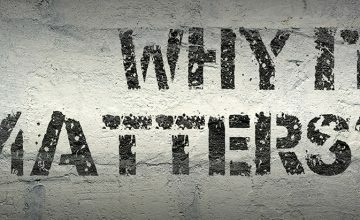 In addition to losing out on talented individuals, there is a reputation cost of being sued for something that is easily preventable. It is likely both of these institutions invest a great deal in maintaining their prestigious reputations. The lawsuit does damage to these efforts. Whether they win or lose the lawsuit, it is clear that their online content isn’t accessible. This will resonate with people. Reputation risk and hits are very hard to measure but one thing known – they are always detrimental. There are also the legal costs, the drain on leadership time addressing the lawsuit instead of more productive initiatives, the negative impact on moral, and several other negative implications. 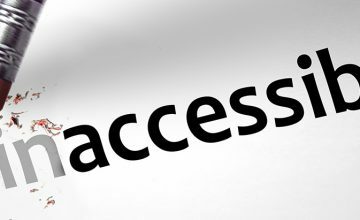 There is no reason for organizations not to adhere to accessibility requirements. The services are available to all organizations that choose to outsource the work including Universities. 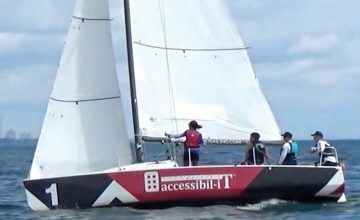 Accessibil-IT provides services to numerous universities, making textbooks and assignments of all sizes and complexities accessible for people with vision loss. The National Association of the Deaf could have referred potential suppliers who could assist Harvard and M.I.T. Don’t wait to implement accessibility requirements. Take the initiative to reach out to your organizations’ full market potential. Don’t get sued before you make it happen.